As a quickly growing franchise company, we’re committed to helping people learn all there is to know about the benefits of franchising. That’s why we recently caught up with ZorSource’s Franchise Department Director, Alexandria Watson Warren. Alexandria has been in the franchise industry for 6 years, and has a wealth of knowledge to pass on to those considering buying into a franchise. Read part two of our one-on-one with Alexandria for some excellent franchise advice! Should millennials consider franchising? Why? Absolutely! Millennials should certainly be interested in franchising. Parents will flip their pockets inside-out to send their children to college. However, kids get out of college these days having no clue what they want to do. I double majored in marketing and law, took the LSATs to get into law school, got into law school, shadowed a corporate attorney for two weeks, and finally realized I would hate being a lawyer. It had never occurred to me to shadow the job opportunity that I was about to go to school for, for eight years. I still have a double major in marketing and law, but look at what I’m doing now. I don’t even touch marketing; I’m more in relationship management and brand development. Many individuals spend a lot of money on post-secondary education. They could also invest that money by buying into a franchise. Franchising is a guaranteed, for the most part, source of income for your child that immediately teaches them responsibility, and is an equity position—so whenever they’re done with the business, they can typically sell it for a profit. I certainly think franchising should be some of the opportunities presented at job fairs. It’s unfortunate to see how easy it is for students to get student loans but it’s very difficult for them to get small business loans. I absolutely think that if they are in a position, or if there’s any form of help they can get, franchising is a good investment for millennials. Franchising is growing, and the opportunity to have a millennial inside of your franchise is huge. It really encourages the opportunity itself to grow with the times. Not only that, you’re able to bring in more opinions and truly understand each of the individual market places. The millennials are the next baby boomers, after all. If there’s an opportunity you’re interested in, talk to your parents! I’m certainly not encouraging people not to go to college, but I’m also saying that college isn’t always necessarily the only path. Is there a way for franchise owners to safeguard their investment? It depends in some respect. One of the ways is to find out about the resale clauses inside of the agreement that you’re signing and to ensure you have the ability to sell the business whenever you’d like to. Look for any penalties, transfer fees, or terms of completion. Some franchisors are so proud of their franchise opportunities that they actually have a buy-back. You likely won’t get 100% of your investment back in those opportunities, but essentially they can refund your franchise fee. I think anyone who wants to get into franchising with a foolproof plan is going to be disappointed. That’s just not the way they should enter franchising. Franchising takes work. Not every McDonald’s franchise in the world has been successful. I’d say the best way to safeguard your investment is to do your research, and to utilize the help that’s been given to you. By that I mean don’t ignore the expert. I see a lot of mistakes being made with people questioning what the franchisors are there for to begin with. They are truly looking out for your best interests. What areas is the franchisee largely responsible for? What about the franchisor? That’s different for every franchise. However, it is something that individuals need to make clear when they’re talking to or exploring franchises. At the end of the day, a franchisee is predominantly responsible for the success of his or her franchise. Nobody else is. Development is primarily the franchisor’s responsibility. Additionally, a lot of times there’s a national marketing initiative that’s managed by the franchisor. Again, that varies according to the size of the franchise. Discussing expectations should be one of the first couple of conversations with a franchisor. Find out the franchisor’s expectations, and see if you’re okay with that. Sometimes you might not really like what you’ll hear, and it’s better to have that out on the table than find out about it later. About how long should a new franchisee expect it to take from the time they’re awarded their franchise to when they can start making money? Should they have a contingency plan in place for this period? Unfortunately, you can’t put contingency plans in place—at least with most franchises—since it is an investment. However, that’s what the Item 19 is for. Typically in your Item 19, you can see somebody just starting out and how long it’s taken them to breakeven. You could also ask about the traditional breakeven point. Some franchisors have gotten that down to the nose. They could tell it’s between six and eight months, or within the first year. However, you can’t have a contingency plan in place. You could always ask whether there is owner-operator capital, or if there’s any kind of working capital built into the total investment needed. So for instance, if somebody says that you only need $60,000 for an investment, check to see if that $60k involves paying you. Make sure that you consider that as well. Overall, I’d say 12 months is a solid average. Just remember that everything is a little different, and there are no absolutes. It is very variable, but do inquire about breakeven points, check out the Item 19, and find out if there’s any kind of working capital that’s already been built in. What are some common misconceptions about franchising? In my opinion, one of the common misconceptions is that franchising is just food, and that there aren’t any other opportunities out there. For people who do seem to be a little more educated in franchising, I’d say there’s a bit of a misconception regarding what a franchisor is supposed to do, versus what you are supposed to do. Again, it goes back to that theme of knowing your expectations. Another misconception is that it’s expensive and unaffordable. There are actually funding companies strictly built around the idea of finding funding for franchises. So funding is very rarely the reason why somebody can’t get into a business. FranFund is one of our funding partners, and they are very specific to franchising. They do a great job of just educating individuals about what some of their options are. First Financial also does a very good job of that. Guidant Financial and Benetrends are two others that I would also recommend. What advice would you give to those considering buying into a franchise business? Do it! I see people have their lives changed time and time again. They’re working inside of a business that they never knew they could. They’ve got a lifestyle that they didn’t know they could have. We grew up in a generation where we were taught it was normal for you to hate your job. We’ve almost grown up in a society where it’s okay to be unhappy and our jobs are a huge source of that. That’s why it’s so fulfilling to see individuals owing their own businesses, operating things that they never knew they could operate, and achieving that lifestyle change they’ve always wanted. They’re getting to spend time with their spouses, they aren’t missing their kids’ games, and they aren’t missing family vacations. It’s at least worth looking into. There are so many different opportunities, not just food. Not only that, you can also make some serious money! My advice would be to do it. Find a coach, a consultant, or simply someone to guide you through the discovery process. It’s normal to have questions and feel overwhelmed, but don’t let that stop you! For more words of wisdom, be sure to also read part one of our interview with Alexandria! 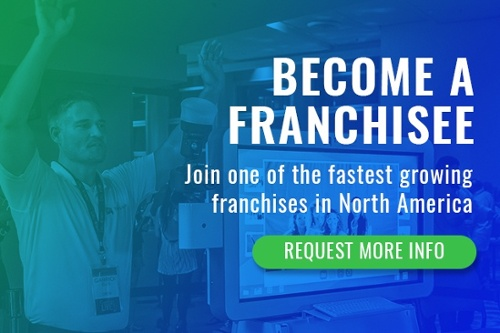 If you’d like to learn more about our franchising opportunities, please call us at 1-877-577-0566, or download our Franchise Information Summary. 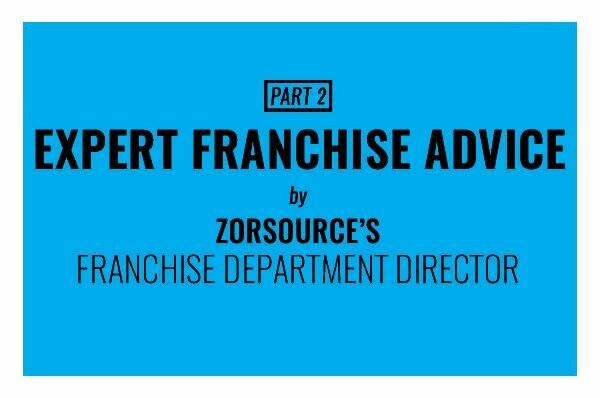 Alexandria Watson Warren is the Franchise Department Director for ZorSource, which is a part of Franchise Source Brands International. She has been a part of the franchising industry for the past six years, and has worked with Franchise Source Brands International for three of those years.